From our centrally located drive-thru yard, cnr Beames & Costin Streets, Mareeba, we can deliver all over Far North Queensland. 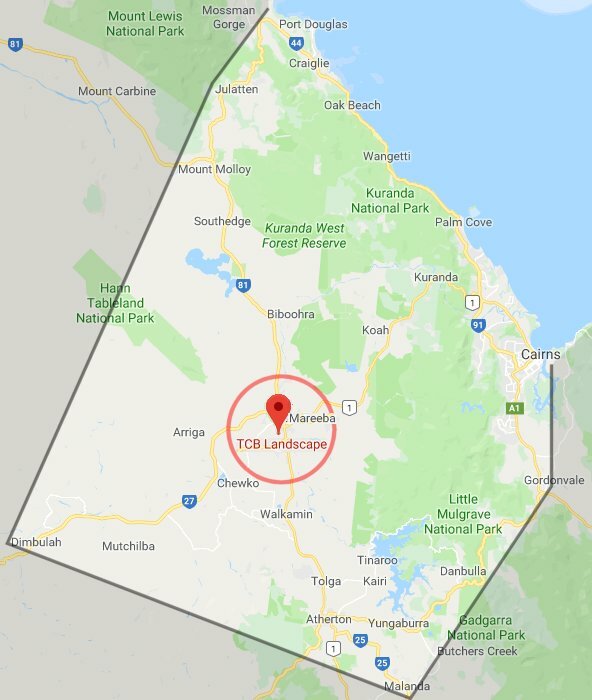 Across the Tablelands from Malanda to Mt Molloy (including Atherton, Tolga, Yunguburra, Kuranda, Koah, and Speewah) and coastal areas from Gordonvale to Port Douglas (including Cairns, Southern Suburbs, Northern Beaches, and Mossman) we've got you covered! Alternatively you can place your order online and pick-up directly from our yard using the click and collect option (7AM - 5PM weekdays, 8AM - 2PM Saturdays). Note: orders of bulk raw materials and 1 tonne bags of raw materials will attract higher delivery charges. Please make sure to add your delivery district to your basket before placing your order. For any other requirements or to make alternative arrangements please contact the office by phone on 07 4092 2086 or email .